Vector heart icons with various styles and colors that you can use in your infographic designing. Use pretty and adorable infographic heart elements that will impress the audience. Need different styles of heart shapes? Look into this heart element package! They won't let you down. You can find a large variety of modern heart icons which you can use for Love topic infographic design or infographic background design. Below is an overview of the heart icons in our library. You can drag out any of them, adjust the dimension, and apply new colors. You can change the color, size, rotation, line, and drawing route of a heart shape. Use heart icons as embellishment to present love quotes. 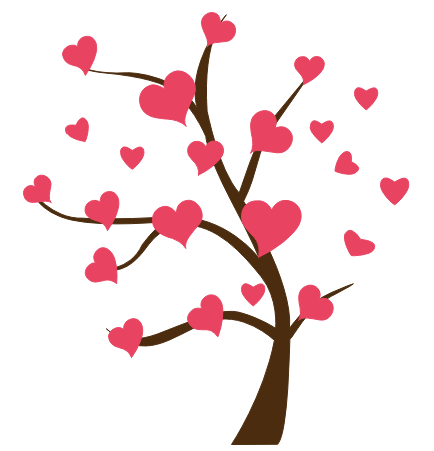 Make a heart tree with the heart icons. 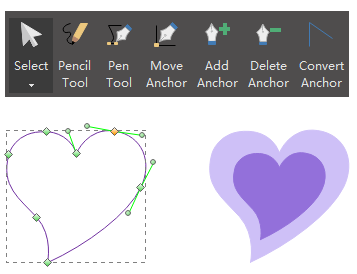 Our program includes the drawing toolkit, which allows you to draw any heart shape you like. Download Infographic Maker and Use 10000+ Elements! Want to use the above heart elements in your infographics? Download Edraw Infographic Software! It includes a large variety of heart shapes which are easy to modify. Design a wonderful infographic is just a few click away. Try it now!